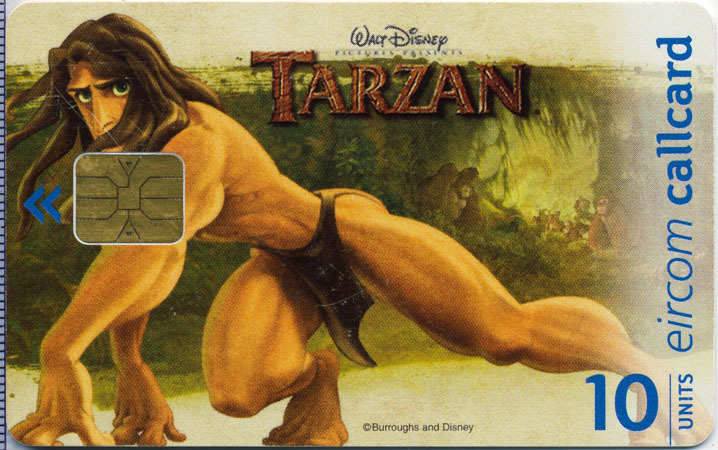 This is the second of five different types of Tarzan Callcards produced by eircom to celebrate the launch of the Disney blockbuster, which was released in cinemas from October 22nd 1999. These cards were on sale from October 21st 1999 in through eircom's 6,000 agents in Ireland. A unique promotion was developed to launch these Callcards. 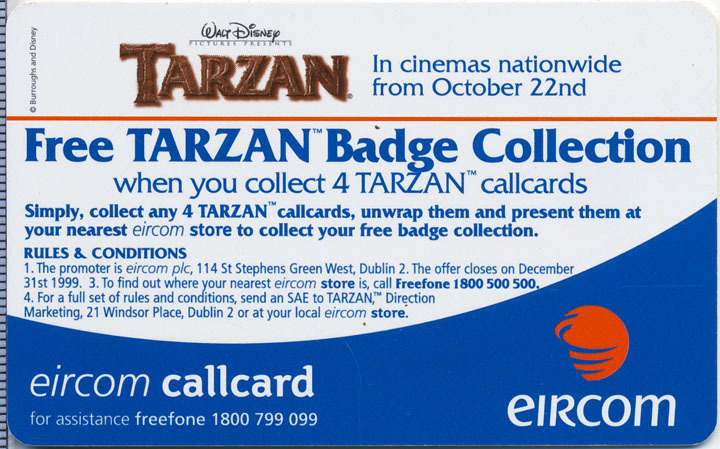 Customers who collected any 4 promotional Tarzan Callcards received a free Tarzan Badge set which was instantly redeemable at all eircom stores until 31 December 1999.